Since this is my page, I get to show off my solution first. 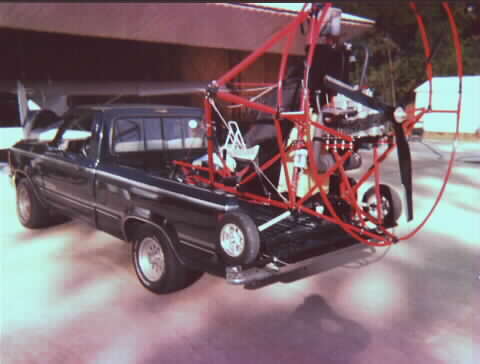 I have a full size Chevy pickup and a 503 Eagle - single seat Buckeye. 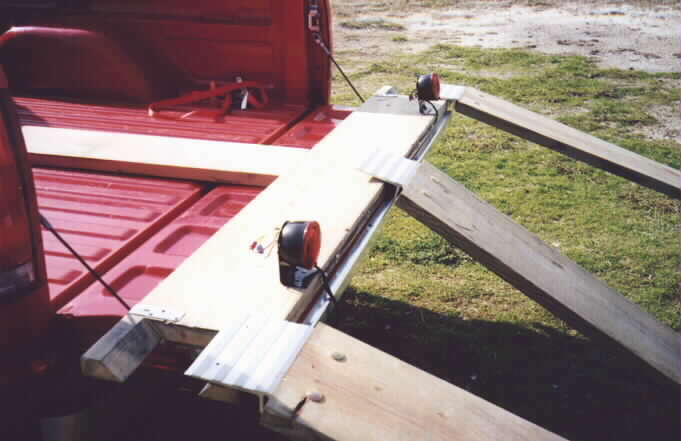 The Buckeye is wider than the truck bed, so it won't fit all the way in, but with the addition of a length of 2 by 12 treated lumber, the wheels fit nicely on the tailgate. I added trailer lights to the board and plug them into my truck because the tires of the Buckeye cover my truck tail lights. Works great. The outer ramps are 2 by 10 treated lumber and the center ramp is 2 by 12 (left over from the tailgate piece). 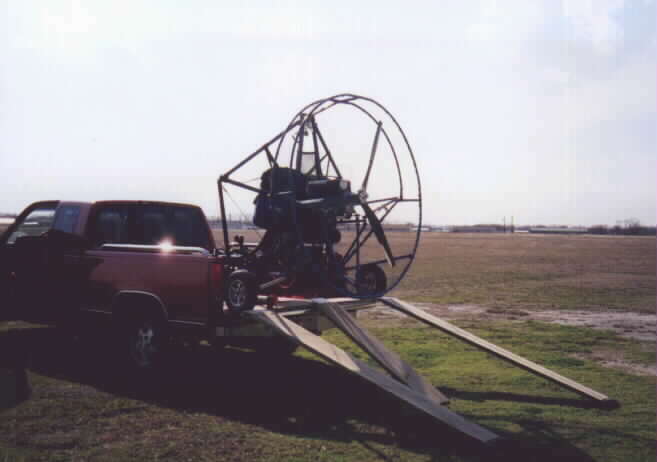 Phil Murray created a metal version of a pickup truck hauling system for his Powered Parachute. 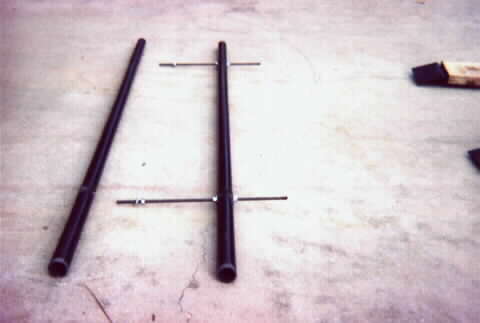 This is a strong simple approach to giving support to the frame whch is wider than the truck. I think it's a neat approach. 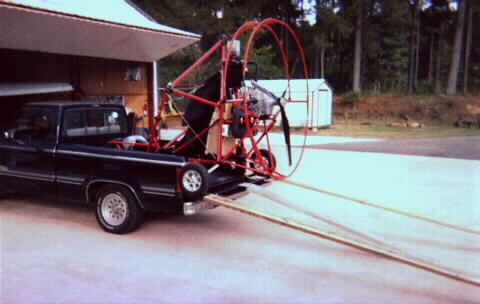 I have been experimenting with hauling my SR7 on my Toyota pickup using a metal rack similar to the one Phil Murray made. I removed the tailgate and mounted it to the bumper to lower the whole setup several inches. 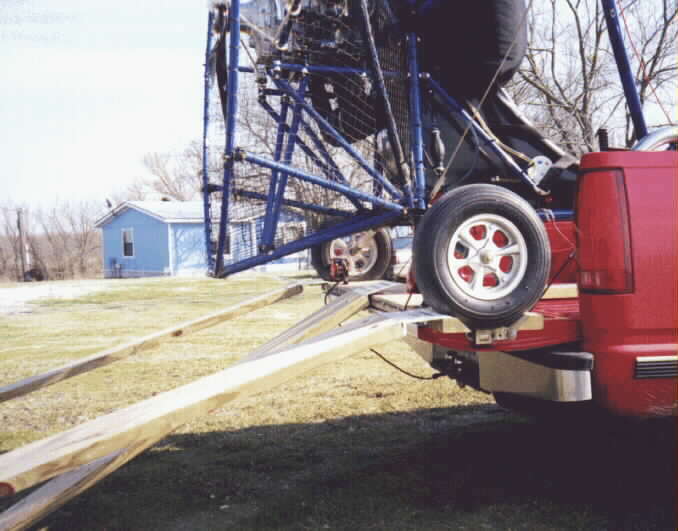 While it works great, the problem is the very long ramps required to keep the skid tube off the ground while loading or unloading. 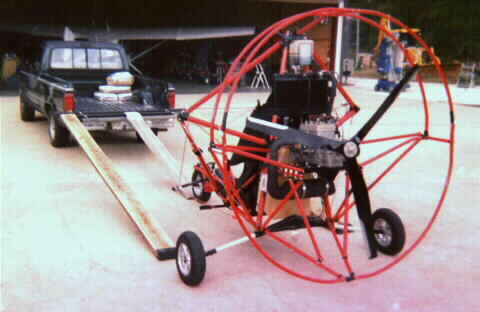 My work around on this was to build curved ramps for the rear wheels so they would be lifted more quickly at first, thus increasing the clearance for the skid tube. 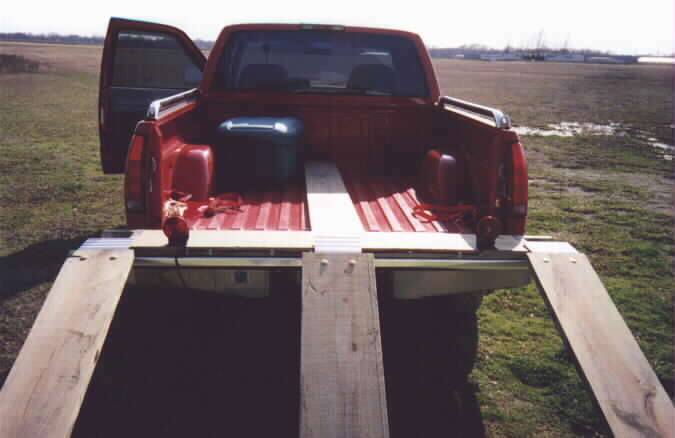 I think by optimizing the shape of the ramps, I can reduce their overall length to about 66", allowing them to be transported while laying across the pickup bed sides, just behind the cab.